This is a new house for sale. It has four bedrooms, three bathrooms, a one-car garage, and a small but flat yard. It's located in an established community with well-kept homes and top-rated schools that look like something out of a movie. It is affluent, but middle-class by D.C. standards, and it's not very different from other D.C. suburbs with detached houses and lots of cars. Yet this neighborhood has all the conveniences of a small city. There are two supermarkets within ten blocks. Six blocks to the Metro, bus routes, and a proposed light-rail line. Five blocks to Barnes & Noble, along with two movie theatres, three ice-cream shops, and dozens of restaurants. Four blocks to the high school. Two blocks to a trail leading to the Potomac River and Rock Creek Park. When you have to drive, the car trips can be short. There are two shopping malls, a major university, premier research facilities, and even national parks within fifteen minutes. The traffic can be bad, but it's not always an issue because everything is so convenient. Current laws make it nearly impossible for small-scale retail to locate in residential neighborhoods, like this block of shops in Martin's Additions. The best part is that you have choices. In this community, some people will travel by car, others by foot or bike, and still others by bus or train. Some will live in a detached house or a townhouse or an apartment. Some will shop at chain stores or independently-owned stores. Some will become involved in the community, while others will seek privacy. Some will choose not to live here at all. But these choices are only available to those who can afford to live in a community like this. It could be North Woodside in Silver Spring, Del Ray in Alexandria, or Clarendon in Arlington. 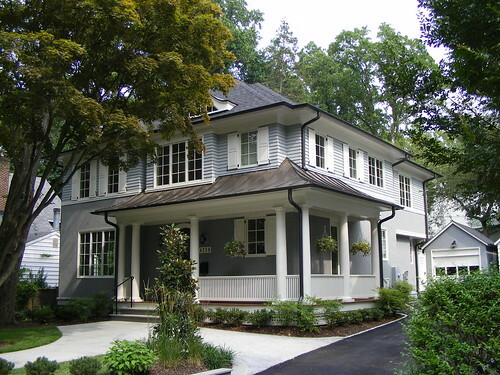 This house happens to be in the Town of Chevy Chase; over the summer, it was selling for two million dollars. There's so little supply of places like this, and so much demand, that they've become a luxury available only to those who can afford it. But this lifestyle could be more affordable if it was available to more people within Chevy Chase or in White Flint, Wheaton, Langley Park, Gaithersburg or even in Calverton, where I live. We should be talking about the kind of community we want to live in - its built form, character, and lifestyle - and let those things determine how wide the roads are, the number of people or jobs, or the need for schools. Yet much if not all of the discussion I've witnessed on growth and development in Montgomery County over the past four years has done it the other way around. Urbanism is not a numbers game. It's the collective result of individual choices made over a period of time. The kind of places we cherish in Montgomery County have largely happened by accident. 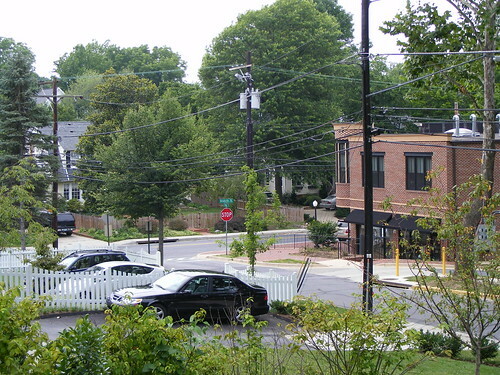 The county's oldest neighborhoods - Takoma Park, Woodside, Kensington, and Chevy Chase - were created by individuals with ideas about how a place should be. Do we prevent good development from happening by trying to legislate away bad development? They weren't too different from a new planned community in Clarksburg or redeveloped neighborhood like Bethesda Row. But over time these communities could accommodate changes by other individuals with other ideas, giving them a unique, but unanticipated character. You can't make that happen with formulas, figures and covenants. Nor can you preserve a great community in amber, as some of our civic leaders have tried. It's no surprise that we can't build Chevy Chase again. But it's disappointing that many people think we can by restricting the number of cars on a road, the number of kids in a school, or even the income of people who live there. That's not to say that we should ignore the condition of our infrastructure. New development may not always cover the cost of new schools and roads, while existing neighborhoods may need public facilities but can't pay for them. Finding new ways to get the amenities we need while allowing our communities to grow and change - as they inevitably will - is the only way for us to move forward. It doesn't always cost two million dollars to live in a safe, walkable neighborhood with good schools, convenient shopping and excellent transportation. But these kind of communities are often out of reach for many people in this area. If we can stop relying on numbers and let our communities evolve as they must in order to stay alive, they won't have to be. Crossposted at Greater Greater Washington. Unfortunately, the minute anyone proposes to redevelop a neighborhood along the lines you describe (with more density, mixed uses, etc.) the idea is immediately attacked. Critics will argue that this kind of of redevelopment as (1) inevitably resulting in gentrification, because all of the things that make it more livable help to drive up prices; (2) a plot to make developers rich, because it calls for intensifying land use (3) un-American, because it fails to prioritize automobiles, both for residents and for drivers traveling through the area. I feel lucky to be able to live in Woodside, a neighborhood that enjoys the accessibility to retail, tranportation options, and other benefits you describe. If our land use and tranportation policies favored this kind of development, we could have a lot more neighborhoods that share these qualities -- and they would become more affordable as a result.